Either for you or for someone special, choose the distinctive lines of classic jewelry design. 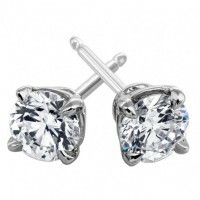 Classic jewelry is the gifts that never go out of style! 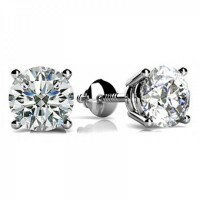 Be sure to give this stunning gift early so your loved one can wear it out on a romantic Valentine's.. 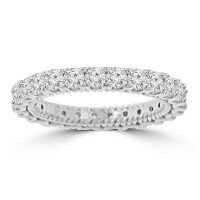 Celebrate your everlasting love story with a diamond eternity band. 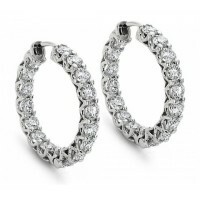 Stunning as a wedding ..
Another dimension of sparkle is created with this inside out hoop earring style. A single row of spa.. 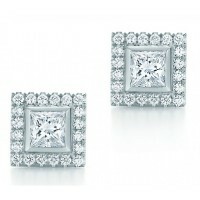 The essence of vintage romance, these earrings offer a captivating look she'll adore. 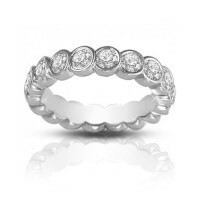 Fashioned in 1..
Classic, elegant and timeless, this beautiful 2.05 ct round cut diamond eternity band is perfectly s..